I have one desktop and several laptop computers. I am the only user of these PCs and use different PCs depending on the task and travel. Does the software license apply per computer or to a single user and applicable to all of the single users PCs? MsgViewer Pro license is per user and may be activated on up to 3 computers belonging to that user. Pressing "Buy Now" still gives you $69. Be sure to order only from the BitsDuJour "buy now" button. When you get to the order page, click 'Order Now' and on the following screen the discount will be applied to the order form. I followed your instructions and clicked on the "Commander maintenant" / "Ordernow" button and the price that showed was still $69 without discount. Would you suggest a workaround ? Problem solved : I could purchase MsgViewer Pro at the discounted price. Tip : if you wish, as I did, to change currency, do it after pressing the "Order Now" button. big email I am not technically versed in the various mail formats and have no idea what format msn mail is in. However, i do have a very large set of email files on mail.msn.com (hotmail) and also have many email files in older .pst folders from outlook. What I would like to do is put these old mail files in a normal or standard file format on my computer so that I can find them without using the mail program. Will Message viewer pro let me save the attachments and convert these to pdfs so I can easily find an older email if necessary? Edgar Werner My son who lives in Germany was not able to get the discounted price of the MSG viewer Pro. Here in Portugal, however, the discount offer stays during the ordering procedure. Did you block the German market as to the discount offer(s)? Darren Leno Edgar, there is no geographical block on the offer. Orders are processed by RegNow, and this appears to be a situation with their system. Ronald Blank I use Juno for my e-mail. I also have ATT for broadband, but I read my mail on my Juno. Juno is networked to ATT. Previously I have lost all my e-mail from my Juno box because of juno foul ups. Will I be able to make a copy of my e-mails from my Juno in-box, and other Juno boxes that I have titled "Purchases", etc. ? 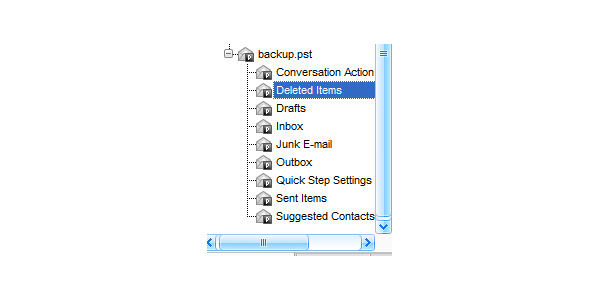 Glen Petrant What is the relationship between .eml and .dbx email files (as used by OE)? Can your product work with the .dbx files of OE? Darren Leno Glen, MsgViewer Pro will not read the .dbx file. 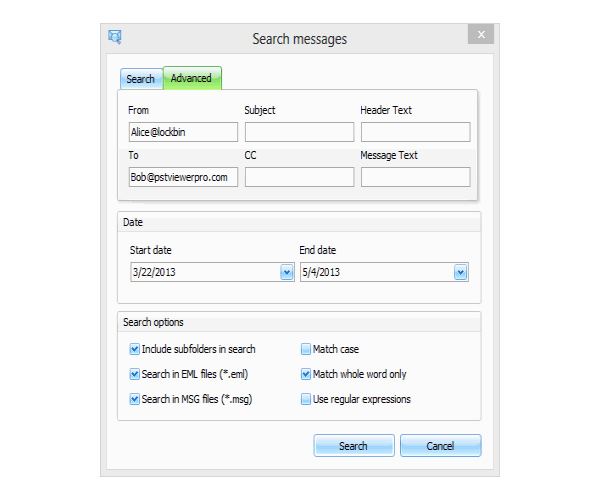 Outlook Express lets you convert files to .eml format. 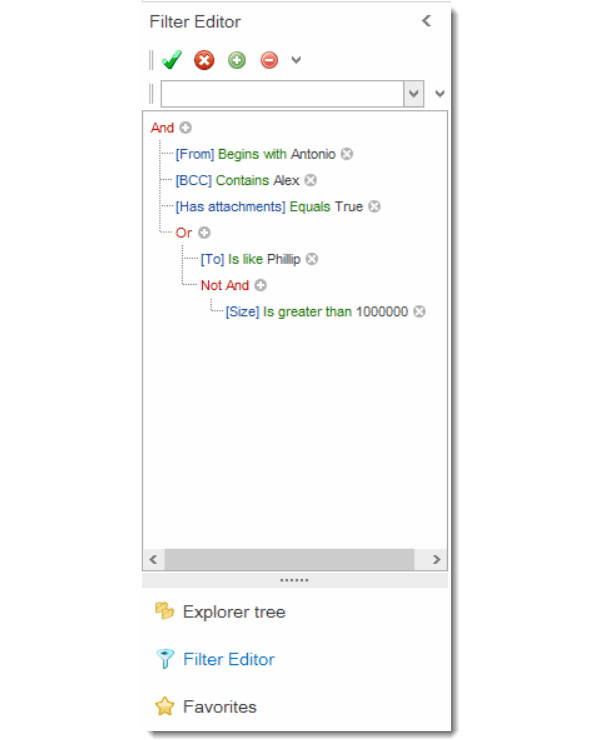 MsgViewer can display .eml formatted email in both html and text. It can render .msg files created by Outlook in full html, rich text format (rtf) and text. Be sure to come back and buy from Bits Du Jour before the offer expires..
Scott Sager Just wondering if The Deal was still going on Bits Du Jour ? My notification went into junk mail by mistake and I was unable to purchace MVP yesterday. Glen Petrant Thanks for the clarification, Darren. I didn't know OE lets you convert files to the .eml format. Edward Smith I don't guess this works for Eudora files? I'd buy this in a second if it did . . .
You might look into the software program called Aid4Mail by Fookes. I think it works with Eudora files. I currently use their Aid4Mail Pro. I recently needed it prior to closing all of my comcast email accounts, as I knew I would lose access to all of my comcast emails. It worked fine in backing up all of my emails prior to my comcast account closing. Even backs up to your choice of file formats. Roberto It reads The bat! mailboxes? Doug Atkinson According to their website, it looks like it only supports Outlook .pst, .MSG, .OST, .EML, Winmail.dat and .MHT files. HJ B I am attempting to use this with Thunderbird. I opened the program, and navigated to the Thunderbird files on my computer. I cannot figure out what to do in order to display the email. None of the menu options seem to impact the Thunderbird email files in any way. A look at the helpfiles did not help me at all. Edward Smith Eudora is mbx files so I guess it will not work with Eudora. That may be the problem with Thunderbird too. I will look into Aid4mail Pro. HJ B The description of the program in BDJ appears to clearly state that the program is intended to work with "Thunderbird (.EML and MBOX)"
Edward Smith LOL, wow, I guess I should have read the description! For some reason I was thinking T-bird and Eudora used the same extension. Bertie Brummel @ Roberto: "It reads The bat! mailboxes?" The Bat! has an export function (Tools / Export Messages) which supports MSG and EML - formats, both mentioned here as handled by pstviewer. The default profile name is a string of 8 random characters followed by ".default". For example, in the screenshot below, Windows Explorer displays the contents of the Thunderbird profile for a person with a Windows login name of "login" and a default profile name of "1gb5e5tz.default". Within your Thunderbird profile folder, locally stored messages are in the folder named "Mail"
Antonio Maradiaga Hello Roberto, currently it does not support The Bat files, we currently support PST, OST, MSG, EML and MBOX files. 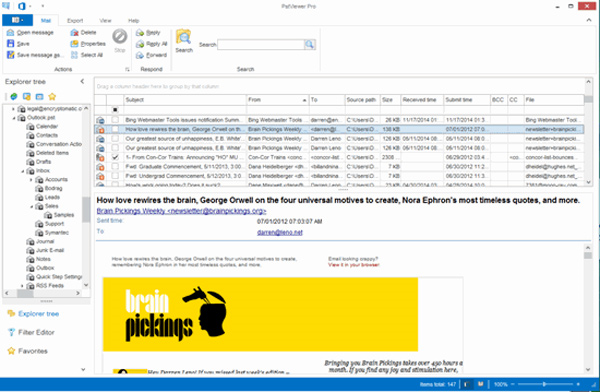 If you have one of those files mentioned, PST Viewer Pro is the perfect tool to view and sort emails on your PC. Stephen Kreyling Any breaks on getting more than 1 copy? David Vaughan Tried to purchase via PayPal with Microsoft Edge, Internet Explorer 11 and Google Chrome but each browser stalled during redirect to PayPal and never recovered. David Vaughan Good software. Purchase successful. Earlier purchase problem went away. Maybe PayPal was having issues? This program looks like it has a great range of features (in working with PST files (which is a very specialized area) at a very reasonable price. I have a question regarding the licensing. The "Fine Print" mentions PstViewer Pro is licensed "per user", does this mean that the program can be installed on a user's laptop and desktop, as long as they are not used at the same time, or is it strictly a "1 computer per user" installation policy. Thanks, in advance, for your help. -CFGuy. The per user registration will allow only one activation per user on one machine, it is transferable to another machine by properly using the release key on the active machine. At the moment you can only be registered on one user, you can have the trial installed on the second machine and once you are ready to transfer the registration key, hit the release key on the active machine and enter it on the second one and hit "activate". There is no restrictions on the amount of copies you can purchase, The price on this promotion is already discounted at 70% off the retail price. If your inquiry is about more than 100 users, please contact our sales team. We will be more than glad to assist! Thank you for your feedback and we are glad that you were able to complete your purchase. If you have any questions or issues with PST Viewer Pro, please contact our support team by visiting www.encryptomatic.com, Have a great day! In the scenario described by @CFGuy and the solution you offered, does the "release key" -1 the activation count? Thereby avoiding the activation limit of 5 should he elect to frequently transfer the license back and forth? In my case, I'd likely activate it in a VM for a while during an extended evaluation phase and at some point move that license onto my primary machine. Ever considered allowing a portable version on a thumb drive? The activation count will remain at one, if properly release as the licensing server will only have one activation active. We do not have a portable version, we will take your suggestion to our developer team and management and see if it can be implemented in the future in PST Viewer Pro. As a student, I am very interested in your products. I noticed very similar program on your website and can't figure out the different between email programs you are selling. Could you explain the difference so that I can make sure which program I need best? Also, do you offer a student discount? I can buy them tomorrow if you are ok? I sent you an email already. Looking forward to hearing from you soon! Thank you for commenting in our promotion. We offer two software versions, the PRO and the Lite version, the one we will have in promotion is the pro version. The pro version allows you to work with multiple emails simultaneously and export a batch of emails to PDF while the Lite version will load a pst file but will only work with individual emails. Here, you can find a comparison of our products https://www.encryptomatic.com/msgviewer/ that will give you a better idea of what you need. As of now we do not offer student discounts, the promotion is set to go on August 1st and it will be available for 48 hours for 70% Off. I will recommend that you wait. The lite version is $29.99 for businesses and free for personal use. We did not receive an email from you, please ensure that you have our correct email address for support (supportline encryptomatic.com) if you sent the email to the sales team (sales encryptomatic.com ), they will likely reply on Tuesday. Benjamin User Thank you! I think I'll buy the pro version. When will the deal be open? Our promotion with Bist Du Jour will begin August 1st, it will last three days. Same question as Peter R.
What version are we on now? I already have version 8.
riad af Can you please update how well does the program treat emails written in Arabic and Hebrew languages? Benjamin User @Sepy, This is the version 8. As upgrade are free for 12months, I suppose we won't see a major update to version 9 before 13 or 14 months. Until now, the companies who offer such a great discount need to get a return on investment. Thus, they sometimes offer a very great deal like this one, for a product that cost around and then you'll have to pay about 25%off for a major update. This is a well-known marketing trick but no hard feeling here. The product is really worth the price and if we want a good support, we must help these company to make a living otherwise we'll get nothing but a discontinued product. At least, this is my personal experience, I don't know about this company behavior toward their customers, I just tested their product and it fit my needs. I did not find the answer. One more question: what is the difference between the promoted software and MessageExport? Ken G Hi. When exporting .msg to .pdf, is there any way to change the font of the email details (from, Sent Time, To, Subject etc) at the commencement of the exported page?. Thank you for your comment. You can install the software on as many devices as you need. Our registration uses the machine name and user ID along with the machine ID to activate. You can only have one machine active, you can release the registration code and transfer the key to your other device. Not to give you the run around, No, you cannot have your desktop and laptop activated with the same key simultaneously. You can move around the registration code 5 times using the release key option. Pete C I have purchased a copy via PayPal but have yet to receive the registration details, when will it be sent? Tomas Barth This is not clear to me, "You can move around the registration code 5 times using the release key option." I have 6 computers in 3 different countries. Can I install the software on 5 of them as long as I only use it on one at a time, and deactivate the key each time I work on another computer? Or can I only deactivate it 5 times and then it's gone? Or what does it mean? It is a bit confusing. The current version is 8.0.786.0. If you already have a version 8 registration code, you do not need to purchase again, you only need to update your software to the latest version. ( Go to Help then click on “Check for updates”) There is a changelog on every update prompt, we do not post them on our site. We have changed a few things about PST Viewer Pro. We have added new formats to export from and to, the addition of MBOX, TIFF and single Word Docx were long overdue. Additionally we have fixed several bugs reported throughout the year as well as improved the export performance for CSV and PDF. 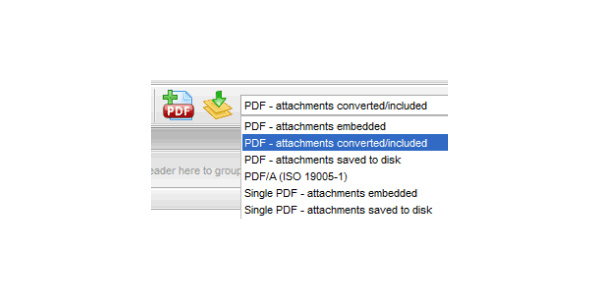 We have included marker for attachment, in the past there were no options to remove it, now you have the option to have them marked (attachments) or not when converting to PDF.